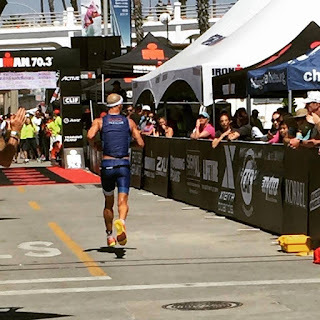 Thank you for following my journey from unhealthy to Ironman! I will now be updating my personal journey through www.adamhilltri.com. I am also continuing my path as a triathlon coach at www.extralifetrifit.com. I've been thinking a lot lately about what got me into the sport of triathlon, and it was born of a desire to supplement my mental and spiritual well being with improving my physical well being. Dating all the way back to my first post, I aspired to show that a person could overcome unhealthy habits (both physical and mental), and find joy, peace, and exceptional health. Triathlon was the medium which I chose to fulfill that desire. As a person who struggled with depression, suffered from anxiety, and abused myself through the use of alcohol (not to mention cigarettes and junk food! ), I found that the type of exercise involved in triathlon training was an excellent supportive supplement to recovery. It helped calm my mind, keep me humble, find true joy and peace, and accept my limitations while exceeding what I thought was possible of myself. A little over three years later I find myself placing near the top of my age group, healthier than I've ever been, happier than I've ever been, and experiencing the joys of life. My old life is far behind me, and my new life is amazing. So amazing in fact that I wish that everyone could experience what I have, in their own way. I've often wondered how I could share this with others. In this new phase of my development as an athlete, I desire to help others achieve their dreams in the best way I know how. When I used to play video games as a kid (... "used to"... as if I ever stopped! ), I remember that feeling of joy, power, and invincibility I would get when I would find the illusive "extra life". As the text displaying "1UP" ascended ethereally over the head of my character, and the bright jingle sound effect echoed over the the chorus of the music, I knew that no King Koopa, Gannon, or Donkey Kong could stop me. There's one real life experience I find analogous to finding an extra life in a video game. It's the positive transformation some people experience where they turn bad habits into good habits, depression or anxiety into joy and fulfillment, unhealthiness into physical fitness. This transformation is an extra life. With this in mind, I'm announcing Extra Life Fitness, a coaching service designed to help amateur athletes find the joy and fulfillment I have found in the sport of triathlon. Not just a coaching service that gets athletes to the finish line of an Ironman, but one that challenges the traditional fitness beliefs that exercise needs to hurt, that there's not enough time in the day to take care of ourselves, and that completing a full distance triathlon is far to challenging. Every challenge is only difficult until an effective plan is in place. When an effective plan is implemented and followed with consistency, it becomes possible, and dreams all of a sudden become reachable. With Extra Life, we can achieve more than we think we are capable of. I have learned this not only through my own experiences and growth in this sport, but also through testing of specific training philosophies through intensive coaching of a couple of athletes, as well as in the advising of others. Recently, I have certified my coaching status through Ironman University, and am now an Ironman Certified Coach. In the coming weeks/months, I will be changing some things. I will be turning down this blog as I turn on a new website (the blog itself will remain, but I will be transferring all posts to the new website and continue my blog there). New features will gradually come online as I slowly develop them. I will also be modifying my social media presence away from a personal triathlete page to a coaching page. Soon "Adam Hill Triathlete" will become "Extra Life Triathlon Fitness". At this time, I am accepting a limited number of athletes to coach to full or half Iron distance races. If you are interested in coaching services, please email me at adam at extralifetrifit dot com. One of those technologies is recovery boots. There are many versions, the most popular of which is the Normatec Recovery Boots. I love my boots. They do wonders for helping my legs recover after workouts, and they are also great to use before a workout or race. The compression technology maximizes fluid flow through the legs, and speeds up recovery. Despite the apparent benefits of having "fresher" legs, I still felt there were limitations, and I wasn't getting the most benefit that I could. First of all, it only works on the legs up to the glutes (unless you purchase an extension that I haven't used). 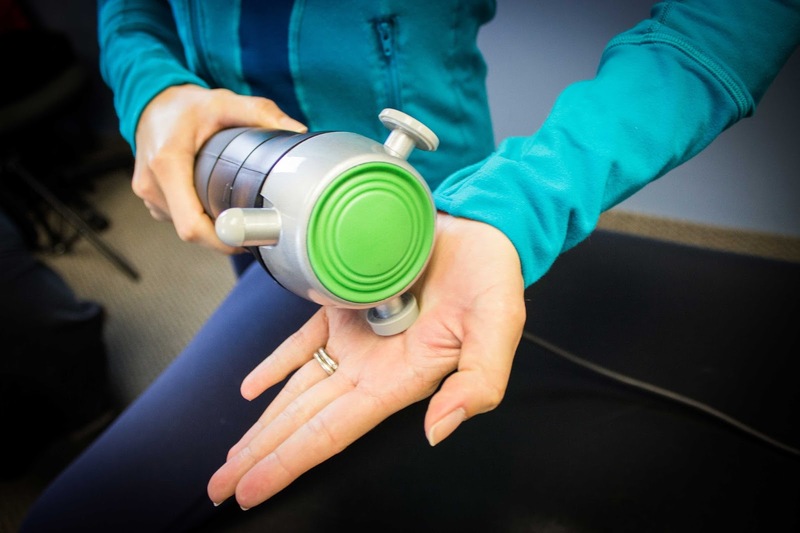 This neglects a highly overused part of the body for runners and cyclists. Additionally, muscle tightness and soreness persisted, since compression is not targeted, and doesn't get deep into the tissue. Enter the Rapid Release Technology. I would be lying if I said that I "discovered" this product, since I came across this quite by accident (as I pointed out in my previous post - Two Secrets to a Huge PR). It was not my intention to visit my massage therapist before Ironman Vineman. I knew from past experience that any relief I would get from a massage would be quickly reversed from the high level of stress and activity involved in traveling to the race venue, going through the check in process, and getting some final workouts in. I had resigned to the fact that I would hit the start line with some muscle fatigue and tightness, and likely a massage a few days prior would not help much. Surely everyone experienced it, so it was an even playing field. After much cajoling from my wife, I decided it couldn't hurt to pay her a visit anyway, and I made an appointment for the day before heading up to Vineman. My expectation was that she would give me traditional full body sports massage. The smell of lavender and sage would fill the air, candles would be lit, and a little Kenny G would be playing lightly in the background as she reprimanded me for letting my trouble spots get so bad. I, in turn, would weep silently as she lay elbow deep into one of my pressure points. As I walked in and laid face down on the table, I heard no Kenny G, saw no candles, and... well, the smell of lavender still filled the air. Instead of silence, I heard behind me the ominous buzzing of the Rapid Release unit (RRT). I had no clue what it looked like, since my face was buried in a donut shaped head rest, but I pictured a contraption similar to a modified chainsaw used in a horror flick as I prepared for the torture that I was about to endure. I wondered what I had got myself into. As I braced for the pain that was to come, I was surprised to meet with a warm and pleasant vibration on my upper back. It felt nothing like the chainsaw of death that I was expecting, in fact it felt incredibly relaxing. Muscles that I thought were already "loose" became much looser. The general feeling of tightness and slight soreness/cramping that existed in my muscles went away with just a little pressure from the RRT. It is as if the unit was a "muscle whisperer", commanding each muscle group to obey - and obey they did. After she worked over my whole body, I felt the buzz all throughout my muscles. Everything was totally relaxed. Areas that I didn't realize were tight had completely released. This all sounded great in theory, but I wouldn't know if it was going to work until my race, which was still a few days away, and until then I still had a lot of moving around to do. I was concerned that all of this activity would eliminate any of the benefits that I had gained from the RRT. 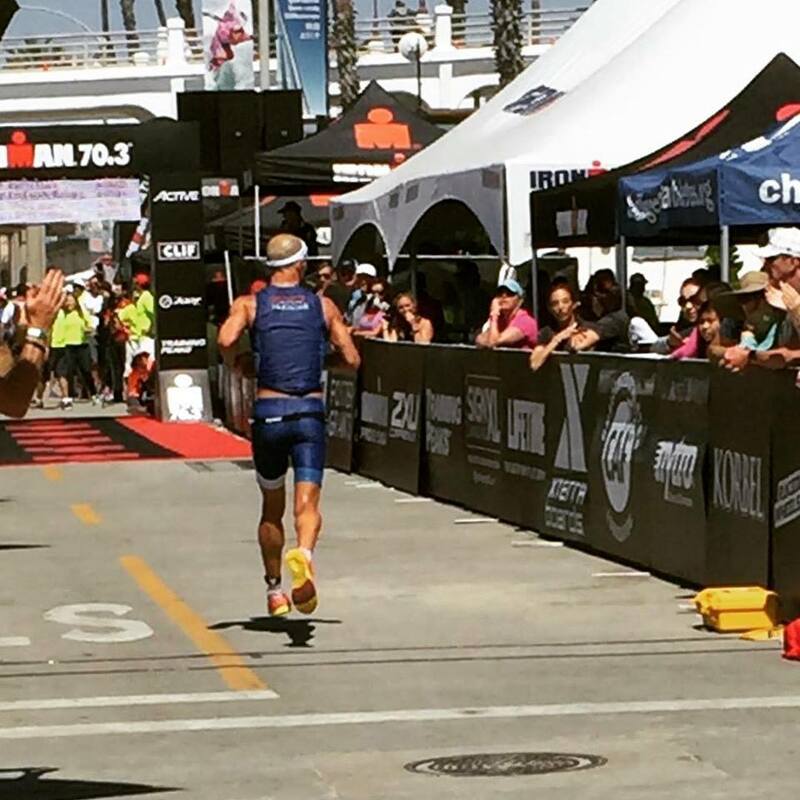 Many people don't realize how much activity takes place before an Ironman. Athletes do their best to rest before the event, but traveling to the race, checking in, doing some last minute exercises, and checking the bike and run gear really can take a lot out of the athlete's muscles, and even cause soreness. This is certainly true for me, and I have struggled with this at every race in which I've competed. It never fails that the morning of the race I wake up with lingering soreness in my calves and shins due to all the activity, and I can tell that it is detrimental to a solid race performance. At this race, however, this was not the case. I was able to hold my pace for the entire marathon. I didn't lose ground, and I finished in a solid 6th place in my age group out of more than 200 athletes. I finished as the 23rd amateur in a field of over 2,000 athletes, and I beat my long term goal of finishing an Ironman in under 10 hours (on a challenging course, to boot!). For this solid run performance, I owe much credit to being completely loose prior to the race. It wasn't just the kind of loosening up you get from a warm up or stretching. It was a looseness that was felt deep in my entire body. Complete recovery and relaxation. It was clear that my body was functioning as effectively as possible because it was not being derailed by soreness, cramping, or fatigue. All thanks to the Rapid Release Technology. Completely rested after a good night of sleep. This isn't advertised by the company that produces the RRT, but it's something I experienced. Relaxed muscles means reduced anxiety, which in turn means a better night of sleep. This can have a big advantage for athletes of all kinds. Zero cramping. I experienced no cramping of muscles while I was on the run. This was something I struggled with in other races, and would frequently be reduced to walking, but after using the RRT, as Forrest Gump would say, "I was runnniing!". I recovered faster after the race. The day after an Ironman is often a zombie parade of athletes who are too sore to even bend their knees. In the days following the race, though, I felt surprisingly good. I wasn't feeling "great" mind you, but I was much better than a lot of other people. I would venture a guess that if I did use the RRT post race, my recovery would have been expedited. To my knowledge, this technology is not used much in the endurance sports world, but I believe that will soon change. As more athletes begin to realize the benefits of Rapid Release Technology, this "secret" will become far less secret. Until then, I'm anxious to reap the benefits of this technology and use it to my advantage. I'd like to list here a couple of things I did differently this year while training for Vineman vs. previous races. These are somewhat untrendy in the triathlon community presently, but I believe that they have the potential to be game changers if employed correctly. I for one am anxious to see how they will continue to benefit me in the coming years. Breathing. It turns out, and I know this is quite shocking, you need oxygen to perform. But let me be more specific. The breathing method I am talking about is the Wim Hof Method (WHM). This method is becoming quite popular due to recent publicity by Tim Ferris (author of The Four Hour Body), Joe Rogan, and Laird Hamilton. The technique is quite simple, and easy to employ before a workout or race. Simply put, it's a series of about 30-40 deep breaths followed by breath holds. You can follow along in a free demonstration by following this link. There are a lot of claims about the benefits of this technique, and I would advise you to investigate them yourself, because my results are simply anecdotal. I haven't read much on triathletes using this method, but there's a lot of evidence to suggest that it helps improve endurance and strength by fully saturating the muscles with oxygen, and detoxifying the blood stream. What I found when I do about 4 rounds of this method every morning and before a workout is that my energy is increased, my mood is immediately improved, and I am generally able to perform my workout more effectively. When I applied this method at each of my races so far this year, I have found that I am more energized for the swim start, and have zero anxiety for the first few hundred meters. I've also seen my sustained energy and endurance improve. In addition to the breathing, the cold exposure training employed in this method really helped me to adapt to more extreme temperatures. While it didn't get extremely hot on the course at Vineman, I was not nearly as affected by the low temperatures in the morning and the high temperatures as I otherwise would have been. The second game changer I found quite by accident. I wasn't going to visit my massage therapist before Vineman, but my wife convinced me, and I decided to book a last minute appointment. My therapist had been raving about this new machine she has been using, and how it was improving the mobility and recovery of her patients. This was my first introduction to Rapid Release Technology, and it had every one of my muscles singing praises. 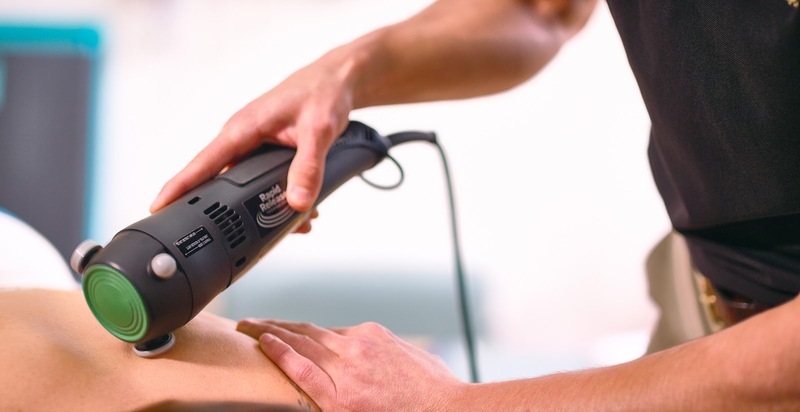 When active, the unit vibrates at a very intense frequency, which breaks up knots, relaxes the muscles, and eliminates cramps. By loosening up all of the muscles, blood flow is no longer restricted, and oxygen is free to flow to all of the muscle groups. When I finished the massage, my whole body was buzzing. Much to my surprise, my therapist invited me to take one of the RRT units with me up to Vineman with the instructions to use it after the drive up, and the night before the race. I did as instructed, and my body felt fresher than for any other race in which I had previously participated. I've always struggled with tight muscles the day before an Ironman because of all of the preparation involved (checking in and checking the bike and run gear is a lot of effort on the muscles the day before an event!). Using the unit the night before loosened up all of my muscles and eliminated any pre-race soreness that I typically experience around my calves. During the race I was surprised to discover that I did not cramp one bit, and it took much longer for my legs to get fatigued. This means that I was able to delay slowing down until nearly the end of the race, the best result one can hope for in an Ironman! Since the RRT loosened up my muscles to the point that they could maximize oxygen saturation, my muscles were better able to utilize that oxygen more efficiently and effectively over a longer period of time. The 2016 race season has officially kicked off for me. It has been a long offseason, since I haven't raced since August at Ironman Boulder. I had planned to take an extended break to work on my run, since it was what I struggled with in my races last year. Unfortunately, I didn't quite get the consistency of running down due to illnesses. I was hit pretty hard early in the year with sickness. First a respiratory cold, then a stomach bug, then the respiratory cold again, then the stomach bug again. This took me out for much of January and early February. Any run gains I had made seemed to have been lost when I started to train consistently again. I had a lot of emotions coming into this race. It takes place in my backyard where I do all my training. It would be the first time I would repeat a 70.3, and last year's performance was by far a personal best for me, finishing in 4:44 and 12th in my age group. While I tried to tell myself not to focus on the results, just to have fun and make it a training day (after all, with all of the sickness I didn't have the fitness I had last year), it's hard to not want to compete against your previous results! By the time I got to the water's edge, my nerves were calmed. This was pretty typical for me, since most of my nerves are centered around just wanting to start. Now that time was coming. The water was cold, but I had prepared for that, so it wasn't shockingly so. As we sat by the buoy line waiting to start, there was a relatively strong current that seemed to be pulling us out a bit. We had to work a little to stay behind the start line. It's always an interesting dynamic at the start of these races. Our heads above water, we are all very encouraging of one another, shouting to each other to have a great race, or laughing with each other. But the second that blow horn goes off, it's every man for himself with lots of contact and fighting for space. Heading into the open water of the channel, we began to feel the swells of the large waves entering the harbor. It made swimming smooth a little more difficult, so that was a cue to increase the turnover and get more strokes in. I was starting to get into the mix with previous waves at this point, and I didn't see many people with light blue caps anymore (my wave). As we rounded the final turn buoy, the fastest guys in the next wave started to catch me. I tried to stick with their pace. No dice. As we hit the boat launch area for the swim exit, I stood up very easily and was able to find my legs with no problem. I had a solid pace running through transition passing a lot of the people in front of me. I still felt energized, which was a new feeling for me after the swim. This was by far the most comfortable swim I have had in a race to date. Maybe I'm turning over a new leaf. Through the campground, I was caught by a couple of guys "working together". Once they passed, I was able to stay at legal distance from them while watching them drafting for most of that section. I noticed that my heart rate was on the very low side, so I was faced with the choice of staying there and giving up speed, or making a huge surge, enough to drop them (I didn't want them to start drafting off of me). I decided to surge, which I did for about 5-10 minutes or so until I was clear again. Riding down Vandegrift back toward Oceanside, I backed off the power once again to recover a bit from the hills. I was caught by a couple of other people, including a fellow Dimond owner, who shouted "nice bike" as he flew by me. Into transition with a time about 5 minutes slower than last year. However, this seemed to be consistent with the other bike times in my age group. Both years, I had the 4th fastest bike split, but this year was a bit slower. The conditions didn't seem too much different, but I have a theory that perhaps it has something to do with the congestion on the course. Since our age group spent more effort surging to make passes last year, perhaps that is the reason we were faster. Who knows! Transition was once again a breeze, aside from shoving Vaseline down my pants in front of a large crowd of people. But I've experienced the alternative and it isn't pretty. It's been my experience that if you're standing around the area of transition, you're bound to see something pretty gross. As a spectator, that's to be expected! Running out of transition I felt in control of my run. A dialed back pace from what I felt I could run. Visions of mile 3 last year rushed through my head. It was at that time that I experienced painful side stitches that reduced me to walking for a few minutes. I had attributed that to too much nutrition in the early part of the race combined with too fast a pace. I didn't want to repeat that experience. Again, I was all alone, which was an interesting experience on the run. The only people that were with me were the pros that zoomed by me every once and a while, which was really cool. It's a strange feeling running without seeing anyone in front of you. I had a constant feeling like I had to ask someone if I was going the right direction. Through the first aid station, I grabbed only water and kept going. Still felt good an in control. I was trying to maintain a 7:15 pace, not too fast and pretty easy to sustain. Sure enough, as I approached mile 3-4, I started getting the stitches again. I backed off the pace a bit and was able to keep moving, but it was still frustrating knowing that I could run faster if it weren't for the side pains. They stuck with me even after the turnaround, and intensified as I passed through mile 5. I had to walk down the hill to get my heart rate down and get them to go away. Finally, they subsided, only sticking around intensely enough to remind me that they would destroy me if I attempted to pick up the pace. At the halfway point, I started to feel much better, so the goal was going to become "don't slow down". In fact, just as an experiment, I wanted to see if I could push the pace a bit more and then walk the aid stations. The goal was to still average the 7:15-7:30 pace overall, but through a combination of 7 minute miles and walking through aid stations. This worked really well as I continued to feel totally in control. Much of the rest of the run was uneventful, just trying to keep a controlled run without it getting ugly. Sure enough, I went through the finish line with a 3:30 PR over last year's half marathon, fully 10 minutes faster than the half marathon at Boulder 70.3, and even a few seconds faster than my half marathon PR (which was run while I was sick with one of those stomach bugs). Overall time was 4:47:23, which I was very pleased with, considering the tough start to the training year. It was good enough for 8th place in my age group, which was shocking to me. This was my first time in an Ironman branded race breaking the top 10. Especially at a race that boasts itself as one of the more competitive races, I am tremendously grateful. From what I understand, even though I didn't stick around for the World Championship roll down ceremony (I can't really afford the trip to Australia in September), I heard that the slots rolled down well past my placing, which means if I were to have chosen to, I could have raced in the 70.3 World Championship this year. That's pretty awesome! Now as I spend a week off before starting my build toward Ironman Vineman, I have a renewed drive to train well this season and to train smart, with goals to challenge myself and simply give the best of myself. I'm looking forward to what the rest of the year holds. We've all seen the recent Michael Phelps "Rule Yourself" video, right? If not, here it is. Check it out, it's pretty amazing! It's also clear that Mr. Phelps is a genetic masterpiece who was made for swimming. Most of the rest of us... not so much. So I decided to make a little parody video just for fun. This is dedicated to the triathletes, adult onset swimmers, and other people who challenge themselves every day to better themselves. Enjoy! Yes, I know, the video quality is not great, and the audio is pretty horrible. My apologies for that, but time and patience led way to a few sacrifices in quality. Regardless, it was fun to make, and I hope you enjoy it.